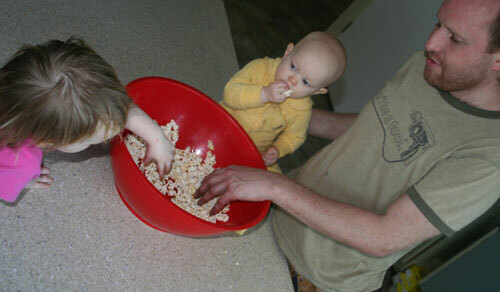 Sparkling Adventures -✯- We love popcorn! Popcorn is our favourite snack. Today has been a busy day as I have started packing for our foray south. The weather will be quite cold (especially in comparison to sunny Queensland), so I have to dig out all the warm clothes we own and make sure we pack them. David has just about finished the fit-out of the truck, with just the ventilation and power accessories to install. As soon as he’s finished, I’ll take the camera down to the shed to take photos of the Freedom Truck!